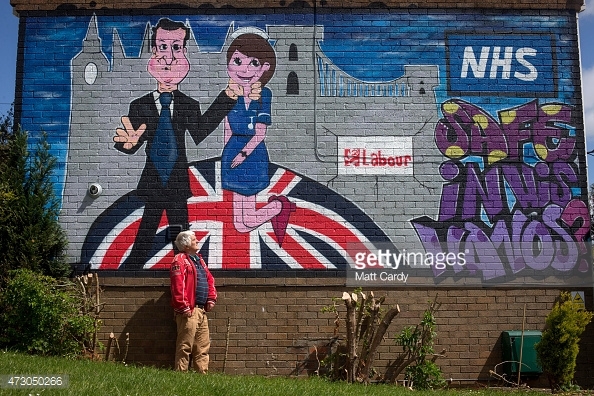 Ahead of the 2015 general election, Tony Davis commissioned a pro-NHS, anti-Tory mural for the side of his house. In a nod to Margaret Thatcher's reassurance that the NHS was 'safe in our hands', it asks if it is safe in those of Prime Minister David Cameron. Davis was instructed by the local (Conservative-run South Gloucestershire) council to remove the mural or else face a £20,000 fine for breach of advertising rules under the Town and Country Planning Act.